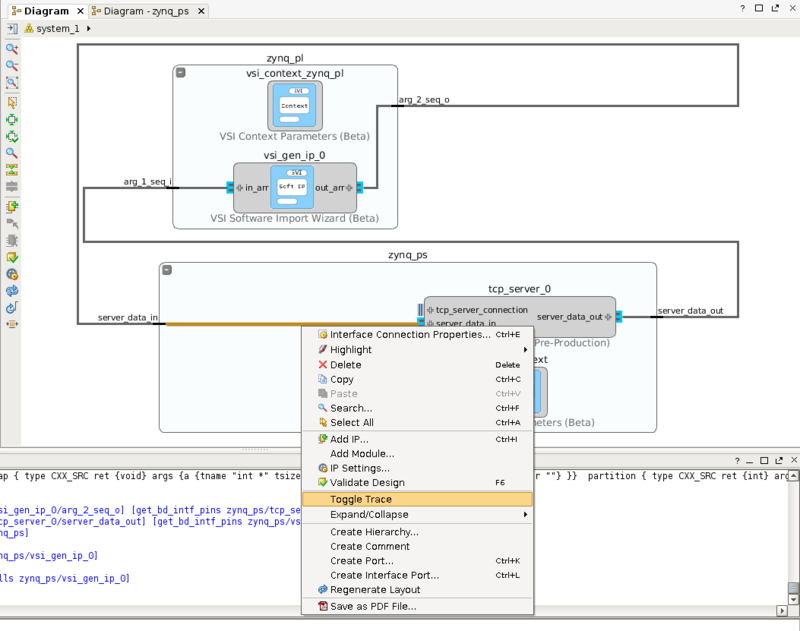 Any interface in the VSI system diagram can be instrumented for “trace”. 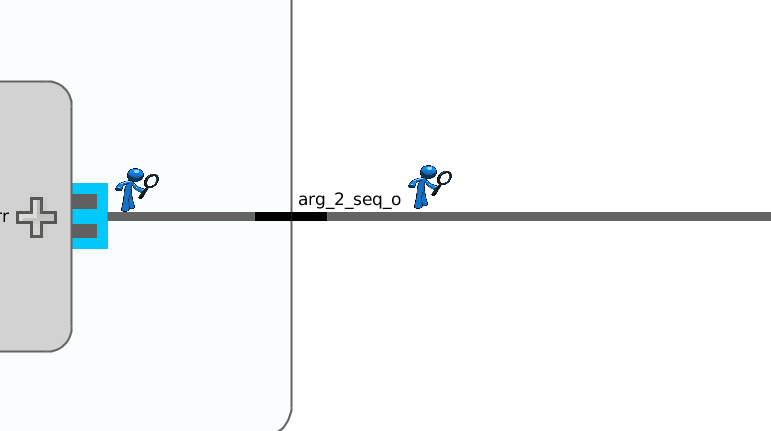 To enable trace on an interface right-click on the interface connection and click “Toggle Trace”. A special icon will appear on all the interfaces annotated for trace.